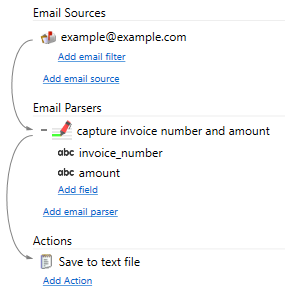 This example shows a very basic configuration of Email Parser. It takes all the incoming emails from the email account and captures two text values using the starts with… continues until text capture method to capture the fields invoice_number and amount. The captured text is written to a plain text file.